There’s nothing quite like venturing outside and getting some fresh air… And the same applies for children! 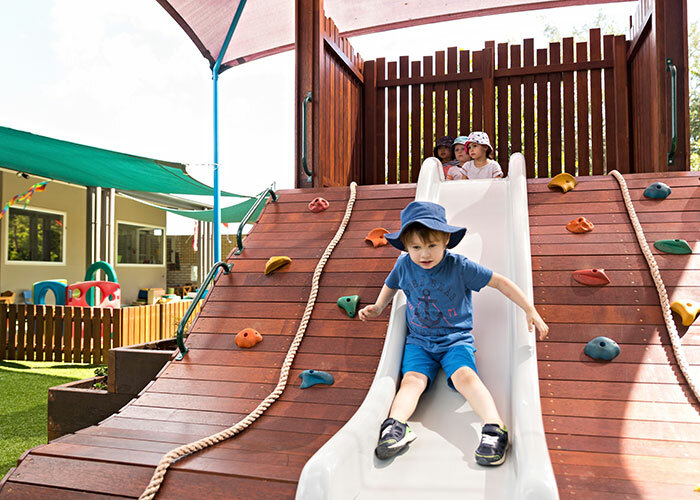 Lizards Early Learning Centre, a childcare centre in Brisbane, has recently renovated their outdoor environments into bustling hives of activity. These experiences with growing and caring for, and then eating ingredients give children first-hand knowledge of where food comes from (not just from plastic packets from the supermarket!) and helps them to develop an appreciation for fresh ingredients. The outdoor space now boasts a fantastic fort that comes complete with two climbing walls and a slide that’s in constant use when the children are in the yard. 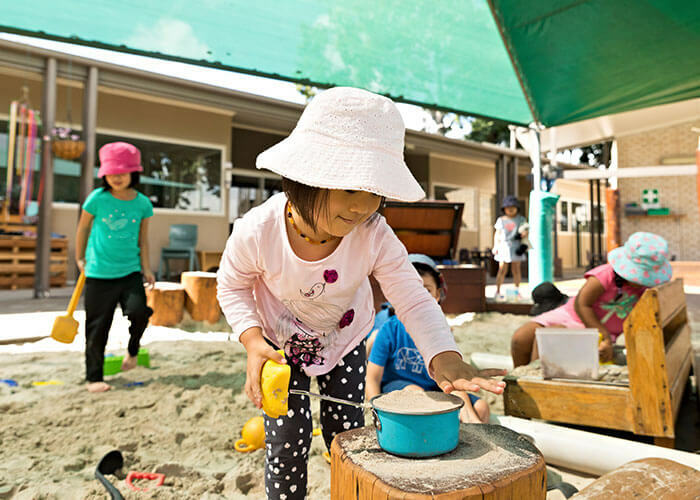 The open areas provide children with plenty of room to play, as well as give educators space to set up provocations around the children’s interests that can engage children of all ages. Families of Lizards may remember the dinosaurs that were in the yard. In good news, they weren’t left to pasture but simply moved habitats to the carpark of the centre for children to see when they arrive and depart from the early learning centre. Giving the children the time, space and freedom to play outside is an important way of life for all our centres. 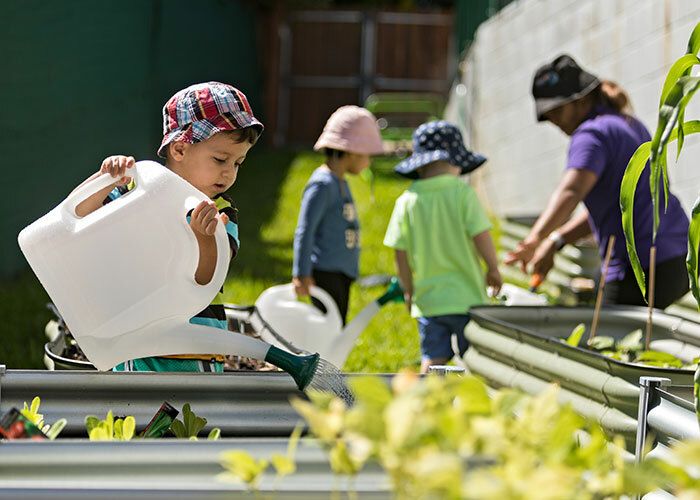 We hope the children and educators are enjoying the wonderful new yards at Lizards and look forward to hearing how their gardens grow! 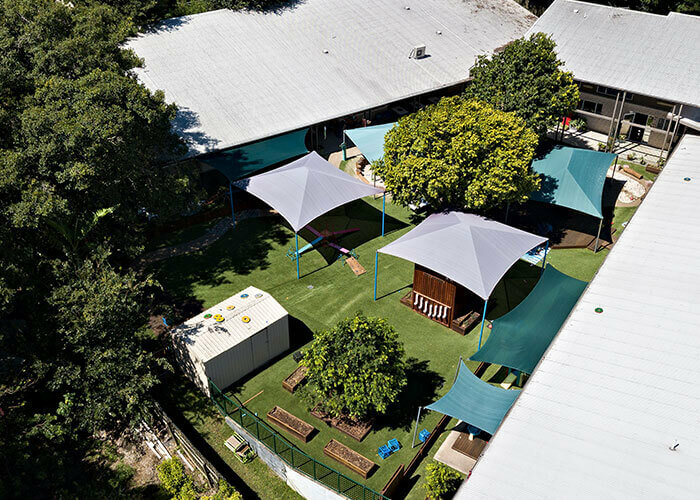 To find out more about this childcare centre in Brisbane, and to book yourself in for a tour, head here.